Officially, it is still about three weeks until the release of Frostgrave: Fantasy Wargames in the Frozen City, but I suspect people are going to get their hands on it much sooner than that. I know the Nickstarter is hoping to start shipping the week after next, and undoubtedly copies will start getting out to people early – they always do. This is great; I know a lot of people are really looking forward to getting the game, reading the rules, and giving it a try. The response to the Nickstarter has been overwhelming. It’s nearly hit £38,000 worth of pre-sales. The discussion about Frostgrave on the Lead Adventure forum has carried on for nearly 700 posts, while the Dakka Dakka forum has another 300. 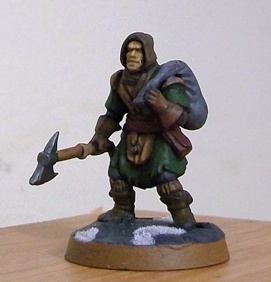 There are over 200 members of the Frostgrave Facebook group! Amazing. I’ve written several books, but never before has anything I’ve written been ‘anticipated’. In the end, I wrote Frostgrave because it is the kind of wargame that I wanted to play, a game with a narrow focus (like the exploration of a lost city), but with huge variety. I wanted a wargame that was similar to the role-playing games of my youth, where I could construct my character, my wizard, just the way I wanted him. I wanted a game with lots of different spells and lots of different magic items. I wanted lots of monsters. Even if they weren’t necessarily integral to the game, I wanted to be able to use all of those miniatures I had bought and painted just because they were cool. I wanted a game that encouraged me to tell stories, that felt like my miniatures were ‘adventuring’ instead of just lining up for battle. I wanted a game where I could play a heroic wizard supported by shining knights, or an evil necromancer and his band of grave-robbers, or anything in-between. This style of more ‘open-ended’ miniatures gaming might not be to everyone’s taste, but it is certainly to mine. I just hope, that when the game is judged, it will be judged in the spirit it was written. It wasn't my original intention to become directly involved with the Frostgrave Nickstarter campaign, but there has been so much excitement, and so many people are supporting the game already, that I guess I just got caught up in all the fun. I told Osprey and Northstar that if the Nickstarter hit £30,000, then I would contribute a new mini-campaign that I had been working on as one of the spend-goal giveaways. Well, for those keeping score, the Nickstarter passed £30k sometime this weekend! So, it looks like most of the backers will be receiving Frostgrave: The Hunt for the Golem as a free PDF. 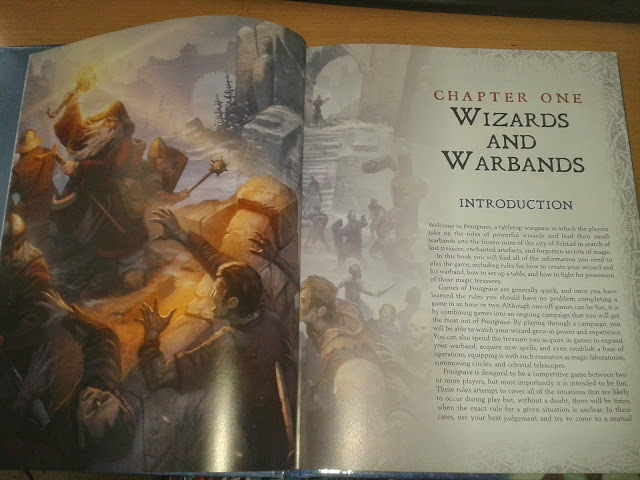 The campaign consists of three linked scenarios involving a rogue construct from the earliest days of Frostgrave's history. Along with the scenarios, some fluff, and the new monster, there are also a few new treasures that can be discovered during the campaign that will be especially interesting to wizards who like to make their own constructs. I finished writing the campaign over the weekend. I just need to do some editing before I send it off to Osprey. 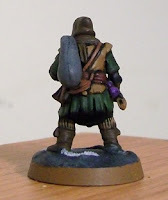 In other Frostgrave news, I painted up my first official plastic Frostgrave soldier. I went with a basic thug, because you are always going to need a few. I gave him the axe, because it looks tough, and then I gave him a swag bag. Well, that's what I'm calling it anyway. It's my favourite piece on the sprue, just a sack that can be thrown over the shoulder. Not only does this give something for the thug to carry in his off-hand, thus explaining why he only carries an hand weapon, but fits well with how I usually use my thugs during the game. Their job is basically to grab the loot and get out of there, while my better soldiers and spellcasters do the real fighting. Anyway, I just want to thank everyone who has supported the game so far, and I hope they enjoy the new mini-campaign! 40 Reasons My Life Has Been Great! I am a year shy of forty, and, as far as I know, in perfect health. If I’m lucky, I’ll live for another forty years, maybe more. There are numerous experience I would still like to have and adventures I’d like to undertake. Yet, if I had to check-out tomorrow, I don’t think I could really complain too much. You see, I’ve had a pretty darn good life so far. In fact, sometimes, when I’m feeling down, which I do far more than I should, I think it is necessary to remind myself just how good it has been. So here is a reminder to myself. A list, hastily scribbled and in no hierarchy, of 40 reasons why my life has been great! 1. I am a citizen of two counties. 2. I have written six books that have seen publication. 3. I knew all four of my grandparents and three of my great-grandparents. 4. I grew up in a mansion, even though my parents were poor. 5. I attended a good grade-school, a good high school, and a great university. 6. I married Stephanie Bell. 7. I have travelled in fourteen different countries on three continents. 8. My baby daughter is healthy and happy. 9. I have been to five Major League baseball stadiums and seven Minor League. 10. I have hiked into the Grand Canyon. 11. I have been sprayed by the water of Victoria Falls. 12. I have ventured into the Skojan Caves. 13. I have worked under many kind and generous bosses. 14. I have attended Dragoncon, Pulpcon, Historicon, Salute and Spiel. 15. I have cycled over 10,000 miles in the last six years. 16. My father read me The Lord of the Rings (several times!). 17. I have lived in two unique cities: Washington D.C. and Oxford U.K.
18. I have never been truly hungry nor feared eviction. 19. I have stood in an ancient burial mound and camped in a ruined castle. 20. I have seen elephants, lions, giraffes, and zebras in the wild. 21. I have seen Tom Petty, Robert Earl Keen, Trans-Siberian Orchestra, Bob Seger, The Oyster Band, Mark Knopfler, and Steve Earle in concert. 22. My mother taught me to be a writer. 23. I have been a spectator at two Olympic Games. 24. I have walked in an on-coming hurricane, stumbled up the stairs in an earthquake, and stood near a fence that was struck by lightning. 25. I have hiked to the top of several mountains. 26. I have read hundreds, maybe thousands, of books. 27. I have toured the British Museum, the Louvre, and the Met. 28. I have stood in the graveyard of my ancestors. 29. I have seen plays in the West End and on Broadway. 30. I have played the stock market, bought a house, and battled out of debt. 31. I have two sisters, a niece, four nephews, aunts, uncles, cousins, and God parents. 32. I have climbed into a frozen waterfall. 33. I spent countless hours in a dingy basement store, playing games with friends who made me laugh until I hurt. 34. I have seen the peak of Mount Olympus hanging in the sky. 35. I have stood on Chimney Rock, slid down Sliding Rock, and felt the wind at Blowing Rock. 36. I have crawled into a cavern too small to sit up in. 37. I have starred in amateur plays. 38. I have gotten into a tug-o-war with a wild baboon... and won! 39. I have taken ferries across the English channel and the Irish Sea. 40. I have been a member of a garage band, a softball team, and a ghost-hunting group. I not only really enjoyed making this list, but I think it has been good for my mental well being. I would suggest everyone do something similar. In fact, I challenge my fellow bloggers to make their own lists! And if you do, let me know, I'd been interested to see what you write. 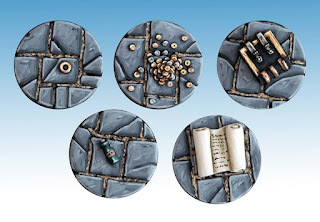 Here's the first independent review of Frostgrave that I have seen. It's pretty thorough, so if you are looking for my information on the game, I suggest checking it out.